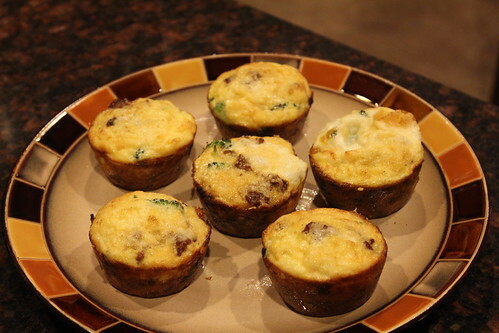 Mmm, egg muffins. 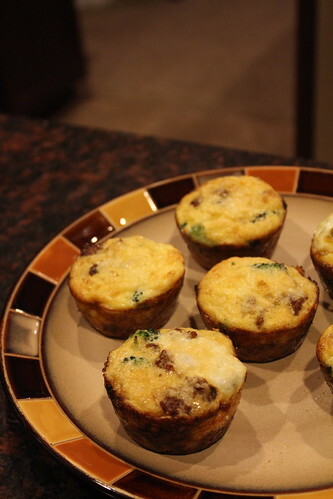 Perfect for fancy-ish breakfasts or for breakfast-for-dinner. And so easy to whip up! I like to half the recipe and just make six for Jeff and me (which makes it a perfect use of the extra 1/2 lb of Italian sausage after you make this chili!). 1. 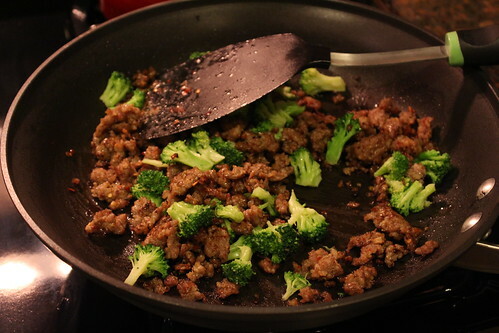 In a large skillet over medium heat, brown Italian sausage until no longer pink (about 5-6 minutes). Add in broccoli and remove from heat. 2. 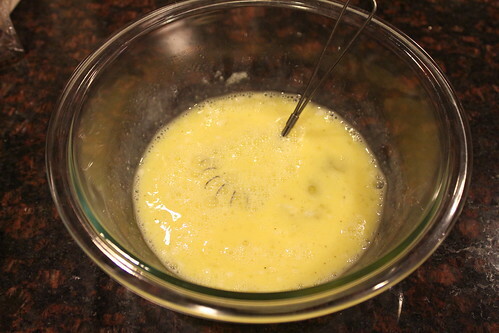 Whisk together eggs, milk, oil, baking powder, salt and pepper. 3. 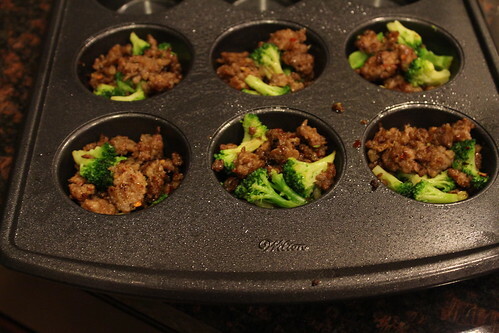 Lightly spray a 12-muffin pan with cooking spray. 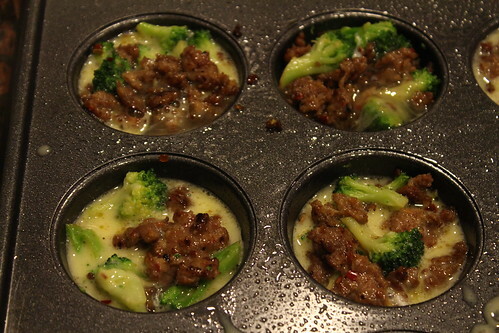 Spoon the broccoli-sausage mixture evenly into each muffin hole. 4. 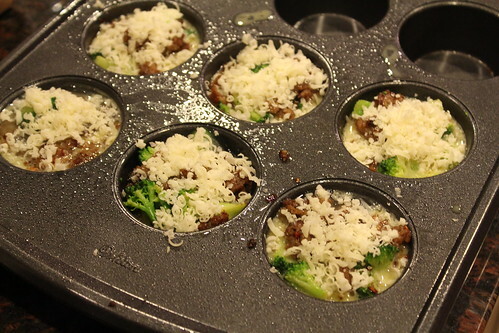 Pour the egg mixture over the broccoli-sausage mixture. Sprinkle with Parmesan cheese. 5. Bake at 375 for 15-20 minutes.